Something as simple as handling an IT problem quickly and effectively can help you meet your business goals. That’s why when your team calls Leapfrog’s Help Desk with a problem, we do everything we can to solve it right then, on the first call, by the person who picks up the phone. Regular hours are 6 a.m. – 9 p.m. (ET) but call anytime with an emergency. A frog is always standing by. A live Help Desk analyst answers more than 95% of calls in less than 60 seconds and can resolve the vast majority of problems without having to transfer the call. Those stats are legendary in Help Desk circles. 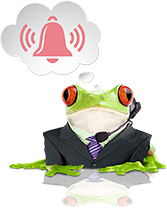 Whether your call is about a laptop, desktop, smartphone, app, operating system (OS) — Windows, Mac or Linux — or even a printer, our frogs resolve it quickly, correctly and with a smile. So change to “smile, so” your team can get back to work. They’re probably too busy. You can have some truly great IT people on your team but if they’re busy helping people, what happens when someone else also has a problem? Few internal teams have enough staff to be able to focus on customer service and they resolve issues based on the squeakiest wheel, job titles or maybe even friendships. Plus, they’re responsible for other IT work, which means either the other work waits or your team waits. Internal IT directors hire Leapfrog to get 24/7/365 availability for their end users on Day One. It’s a shortcut to operational excellence. It solves problems, makes employees happy and gives IT directors the breathing room they need to shine in other areas. They usually don’t have the depth of knowledge on hand. Engineers don’t answer calls like they do at Leapfrog. Instead, you’re assigned a “pod,” or a dedicated support group, that mimics an internal IT department. Which means it isn’t big enough to have high-level experts available all the time. So your team members wait for call-backs. And often the person who calls back doesn’t know how to solve the problem (or worse, reads from a script), so your team members wait again. And if someone on your team wants to talk to Joe who did such a great job last time, they have to wait even longer because Joe is helping everyone else who wants Joe. Business owners and CEOs hire Leapfrog because we only hire the best analysts. And we hire a ton of them. So there’s no waiting, regardless of the problem. Lunchtime? Busy patches? After hours? Same great availability. Leapfrog Services is — first and foremost — a service company.